Motiv: Fire in the hut! Burning house, consisting of British Pound banknotes. GERMANY, BONN - APRIL 10: Fire in the hut! Symbol photo on the topics Brexit, European Union, political chaos in the UK, etc. 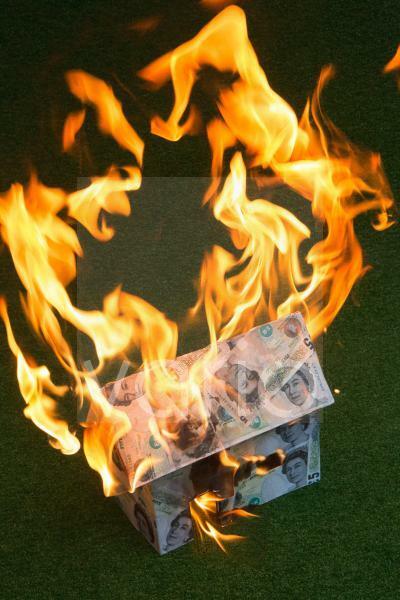 The picture shows a burning house, consisting of British pound banknotes, with the portrait of Queen Elizabeth II.